The incomparable flying qualities of the high wing configuration and the low drag benefits of the retractable gear. Weight, Power and Costs at Ultralight rate with an aerodynamic efficiency and performances better than general aviation aeroplane. Speed, Range and Comfort running toward luxury level. 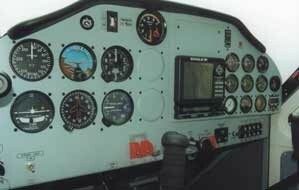 Compliance with airworthiness requirements, BFU, JAR-VLA, RAI-VEL. Metallic main structure with anticorrosive surface treatments. Engine Rotax 912 S 100 hp. The wingspan is about one meter shorter than the P92-S aircraft for improving its turbulence behaviour due to its faster typical speeds. 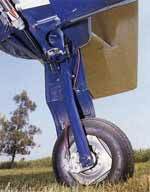 The increased wing load, affecting the flap down speed requirement, is balanced by an improved bottom hinged slot-flap system which results in an almost Fowler flap efficiency retaining a very simple actuation mechanism. The fuselage of the P92 2000 RG has been completely redesigned, still maintaining the slender fairing between cabin and vertical fin. The internal cabin is now 4 cm larger than the previous aircraft (the internal max width is 120 cm) with rounded bottom fuselage allowing the necessary room for housing the main landing gear and improving the aerodynamics of fuselage itself. Like the previous aircraft, a steel truss structure is used for the cabin (high resistance for crash-landing emergencies) and light aluminium alloy for the tail cone.